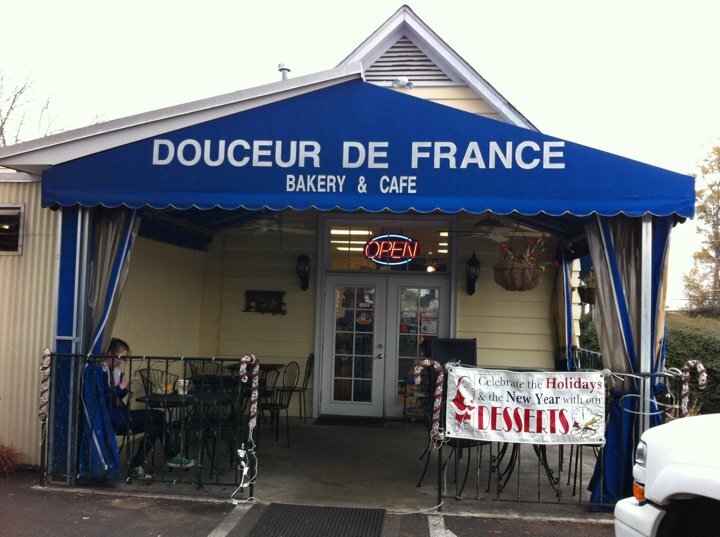 We first discovered Douceur de France in December of 2010, when it was just a hole-in-the-wall off Glover Street in Marietta (old location photo above). I had seen a note in the Cheap Eats edition of Atlanta Magazine recommending their croque monsieur. I googled the menu and saw Jambon Buerre Fromage (ham, swiss cheese and butter on a baguette) and put it down for a trip the next weekend. You see, Jo and I went to Paris for our 15th anniversary and while seeing the sites there was great, we didn’t love the city like some people do, but we fell in love with the street food. Particularly the ham and cheese sandwich and the crepes. The sandwich was a winner. 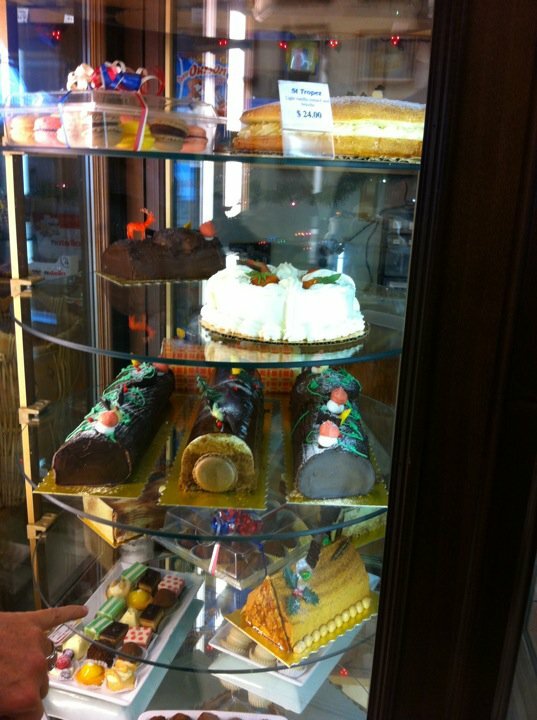 And then, as we got ready to leave, we saw the pastries in the bakery. Particularly, the macaroons. 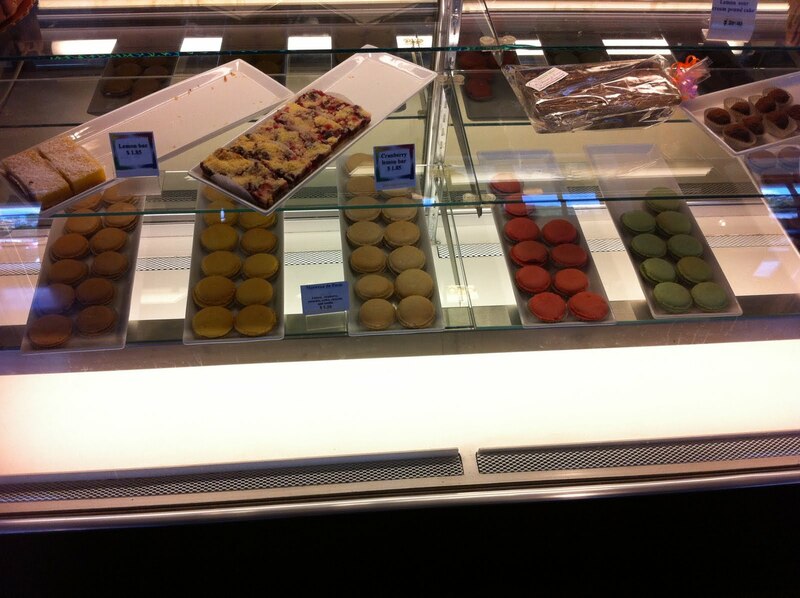 We picked out six – one each of raspberry, pistachio, caramel and lemon, and two lime. Before we got onto Glover Street, two of them were gone. We made it almost a mile before we ate the next two. And the other two didn’t make it home either. I read that they had moved to a new location so we went back in July, 2011. Much bigger kitchen, more seating, better parking. But the food was just as good. 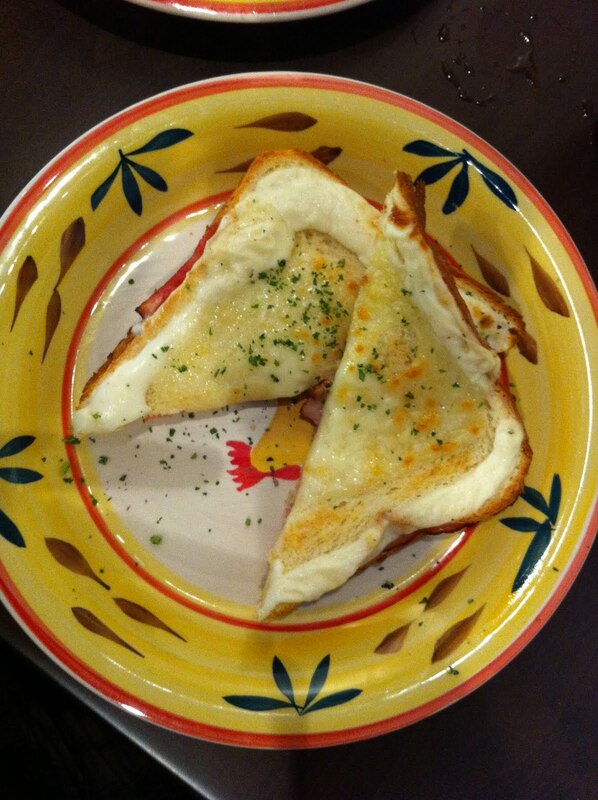 This time I tried the croque monsieur. 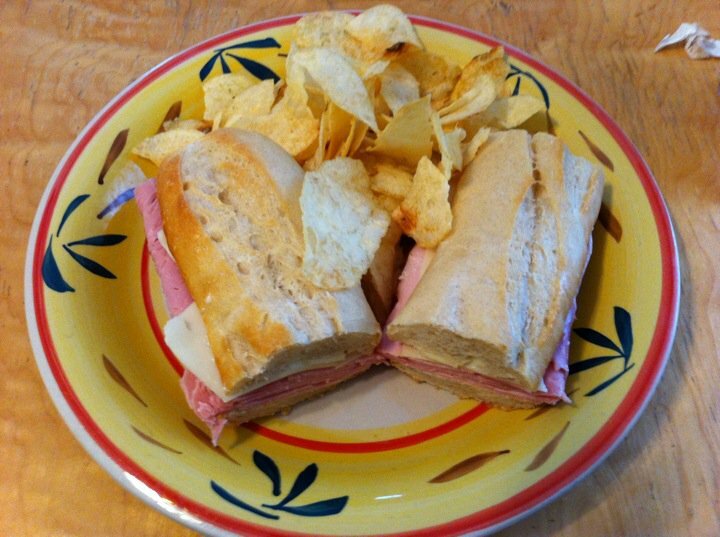 How can you go wrong with Pullman bread, ham, cheese and sauce bechamel? They didn’t. It was excellent.